Everett Earl Pipkin, 70, of Perry, passed away on July 13, 2018, with his family by his side. Earl was born on September 16th, 1947 in Visalia, California to Everett & Juanita (Reed) Pipkin. 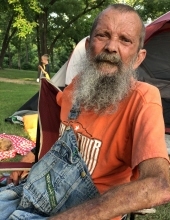 He loved being outdoors, hiking, camping and fishing. He loved working with his hands and worked hard all of his life for his family. He is the only man that could fit five ricks of wood in the back of a one ton pickup. Earl and his wife, Gloria, started a great family tradition of going to Grand Lake every Fourth of July for a fun filled week of camping, which will now be carried on by the children and grandchildren. When Gloria passed a few years back, Earl prepared to join her in heaven. It is a sad day for us left without him, but he is dancing in heaven with his wife again. There is no happiness or joy that is greater than what he is feeling now. We can all take comfort in knowing this. Earl is survived by his children Earl and wife Bernadine, Herman and wife April and Timothy Pipkin. His grandchildren Edna and husband David, Danielle and husband Jewel, Michael and Julia, Kimberly and Steve, Antonio, Felicia and Justin, Casey, Jessica, Cody, Thomas, Renae, Londie, Herman Jr., Joe Anthony, and Pricilla. His great-grandchildren Jonathan, Mary, Mathew, Alex, Grace, Aubrey, Sierra, Memphis, Mason, Elijah, Khloe, Kaden and Cooper. Earl is preceded in death by his wonderful wife Gloria Sue, daughter Christina, great grandson Shane and his mother Juanita Reed. A celebration of his life will be held at Trout Funeral Home Chapel, 1408 N. 7th St., Perry, OK, on Tuesday, July 17, 2018 at 2:00 p.m. with Brother Brian Friend officiating. To send flowers or a remembrance gift to the family of Everett Earl Pipkin, please visit our Tribute Store. "Email Address" would like to share the life celebration of Everett Earl Pipkin. Click on the "link" to go to share a favorite memory or leave a condolence message for the family.